Lima is normally everyone’s first port of call in South America, however I probably wouldn’t stay there for more than three days. 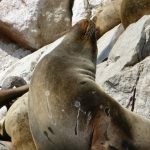 You can see most of the sights within a very long day, or spread out over two days, while the nightlife is great, however the town has a dead feeling about it and doesn’t offer much of a change in culture from Europe. As you begin following the Gringo trail, eventually leading you to Machu Picchu and Huacachina, there are a couple of places you have to see in Lima first. I would recommend staying at the Pariwana hostel as it is great fun and does seem to attract some absolutely legendary people. Right on the banks of the Rimac river you have the Government palace, where you will regularly see troops marching and playing music, mainly for tourists I presume as everyone was out with their cameras every day. 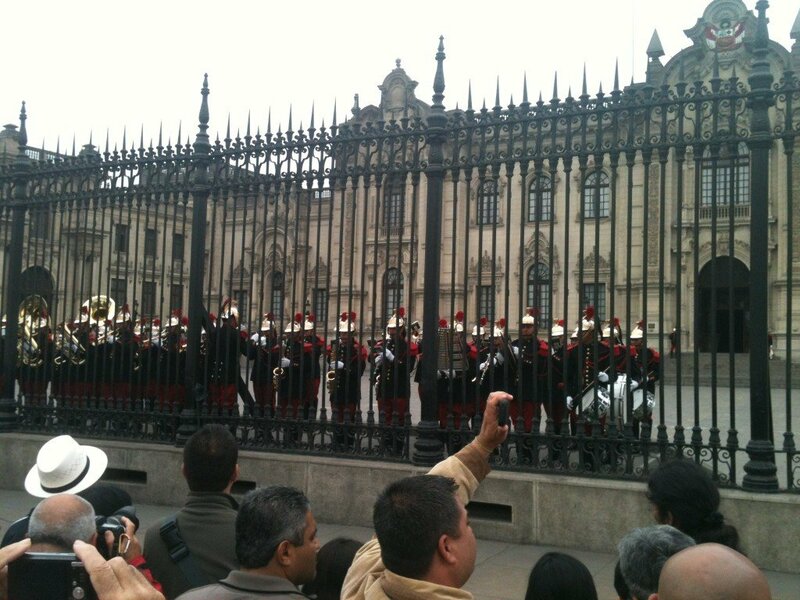 These buildings are enriched in history and their are a number of tours available. Do watch out for people who pretend to be your friend and list of footballers names, they are just after a bit of money, fair enough to them but it can be a bit frustrating at times. 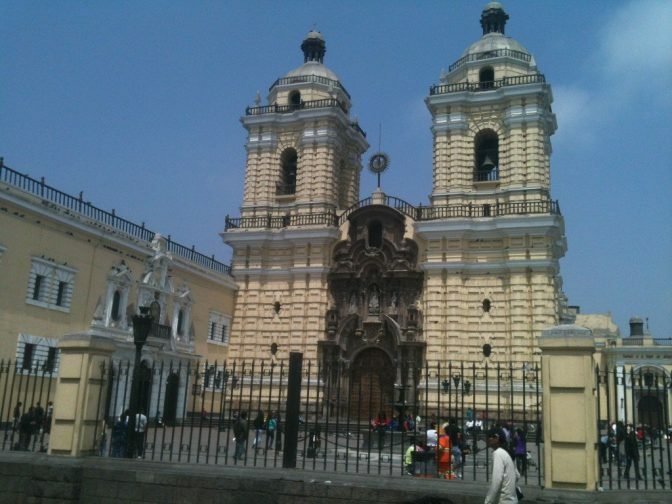 Peru’s list of things to do in most of its cities and towns are overly based around visiting churches, which doesn’t really get me jumping out of my seat, however if you’re going to see one in Lima, this is the one. The swarm of pigeons outside will allow you to feel like your in Trafalgar Square, but with the cacophony of Peruvian locals speaking Spanish. You can visit between 9am and 5:45pm, while it does get a bit busy around early afternoon. However the main appeal for this visit isn’t actually the church, the reason you HAVE to go is because their are catacombs below, which you are allowed to tour and will definitely cause you some surprise. Around 75,000 bodies are believed to be down there! 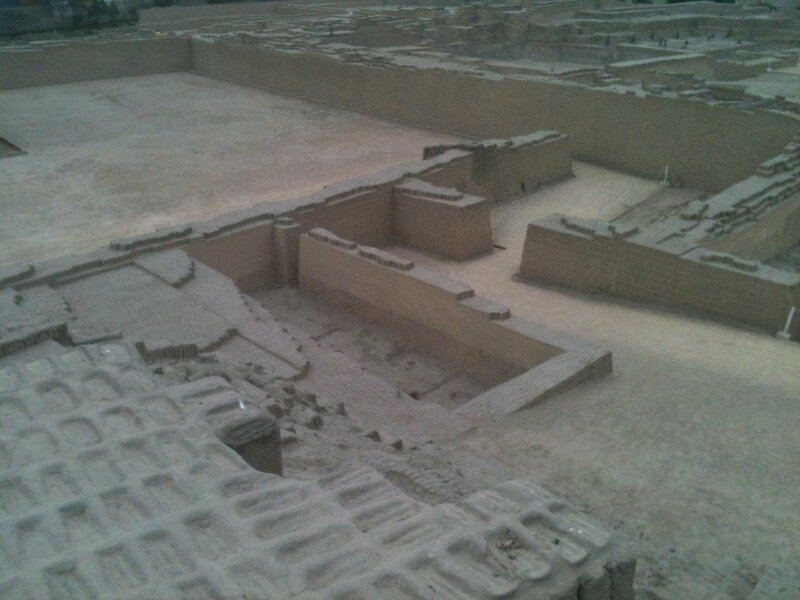 The first thing we did when we arrived was we toured the Huaca Pucllana. 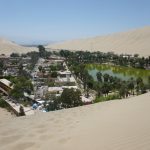 In fact you can read about touring Huaca Pucllana here. To be honest, I did find myself a little bored through the tour but this might be down to my ADD, therefore you might enjoy it a bit more than me. There is also a mini farming section where they have a number of the local plants and animals stabled on the grounds, which is great fun. This was also the first llama I had ever seen so it brought me great joy! While there wasn’t a huge amount I would highlight from this dull city, the nightlife was definitely a positive. The bars are great fun and we were treated like royalty in the club by everyone there. Admittedly we were aware it was down to the fact that everyone saw us as wealthy foreigners, but it’s a cool feeling, especially as you feel broke leading up to going travelling. If you’re staying at the Pariwana hostel, I would recommend joining in with the drink games there first, before walking into town and hitting a club, which they do quite late. Make sure you try a Pisco Sour, my personal favourite! This was apparently a possibility that many people recommended, I would have loved to have tried it but honestly I didn’t find the place they ran it from and was quite short on time, but this would definitely give you fond memories and would change it up from churches every day. The reason why I wouldn’t strongly recommend this would be because Lima is notorious for clouds every day of the year, therefore the views really wouldn’t be that great, if you could see anything at all! 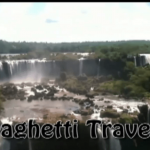 I didn’t manage to get an image either, so I’ve thrown in my whole video of South America, hope that will be useful! We walked the entire way from Miraflores to where the Magic Water Circuit was, which took several hours, just to find that it was shut, so definitely make sure it is open before you begin your journey. The Magic Water Circuit is said to be absolutely beautiful, with shows of water and light shooting across the grassy scenery to amazing effect. If you do manage to go, I would love to see images or a video! This one featured in all the guide books as the place to eat, which was evident by the vast number of their cakes once you were inside. 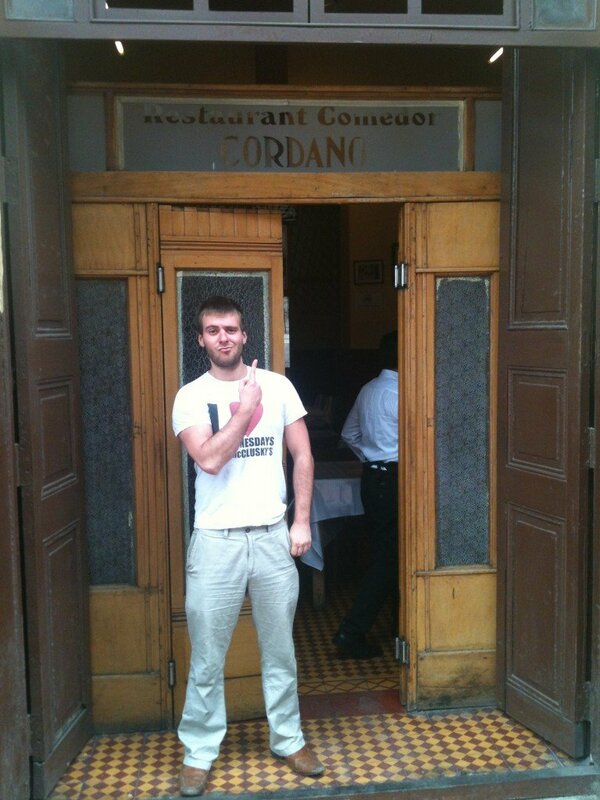 We also went for the most traditional dish, which tasted a bit like refried beans, I loved it but Lawrence wasn’t such a big fan, so I might be in on my own with this one! 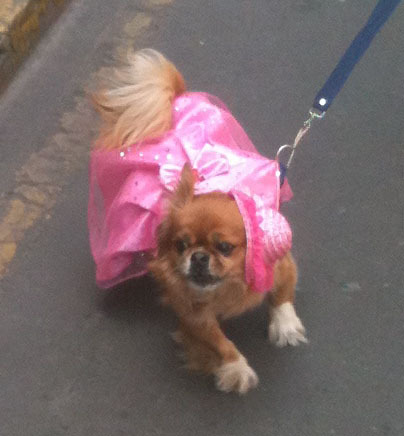 This one was probably the oddest thing I truly didn’t expect to find in Peru, which was that everyone seemed to dress up their dogs in bizarre costumes, without seeming to be looking for money. 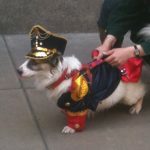 They all seemed to like the attention of having a dog in a human costume, much to my amusement. In fact I’ve made a whole post on the dogs of Peru.